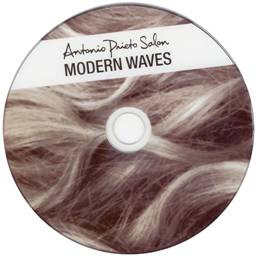 Antonio Prieto has a flair for creating sophisticated yet simple hair styles that have earned him a loyal following. Now, you can take his style secrets home with you. Prieto’s philosophy is that your hair style doesn’t end when you leave the salon; in fact, it just begins. To help you recreate his signature style at home, he has launched a new collection of DVD’s with easy to follow guides for styling your hair. The first of this series, “Modern Waves,” is a step-by-step tool to help you create stylish, easy waves without a trip to the salon. It includes a list of the products and tools you will need along with the proper way to utilize them. Upcoming releases in the DVD series include “The 5-Pin Up-Do” and “The 1 Week Blow-dry.” All DVD’s are available exclusively at Antonio Prieto Salon for $45.